Is he working overtime? Double time? Triple time? Or is he simply hoarding his collection until such time that he’s ready for a big splash? Either way, guitarist Jim Yanda offers the simultaneous release of two albums, one of them a two-disc set, adding up to nearly two and a half hours of ear candy. The releases are Regional Cookin’ and Home Road (Corner Store Jazz, 2017). The Jim Yanda trio consists of Yanda, Phil Haynes on drums and Drew Gress on bass. The answer to the above questions is Yanda has been holding onto this material. The trio has been together for 30 years, but somehow has remained relatively unknown. The first album was recorded in 1987, but had not been released. The second album covers newly recorded material. 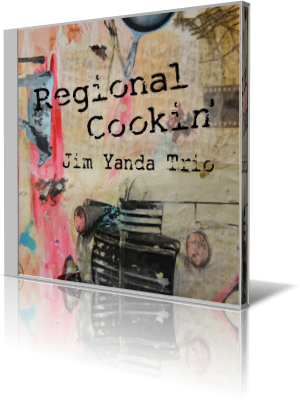 Highlights of Regional Cookin’ include “Nu’s Theme,” “Boutiba’s Dream” and a reimagining of “Round Midnight.” Yanda’s approach to releasing this music is like the fiction writer who never submits a manuscript for publication, or a visual artist who never shows off a painting. Self-judgment, and to some degree the pursuit of perfection, can cause one to hold back, never realizing how good the material is, if only because it doesn’t meet – in the mind of the creator – a specific objective. Home Road captures the trio in a greater improvisational mode. The songs are a bit longer, giving the musicians more space to stretch out. And stretch out they do, even when playing subtly underneath a solo. Yanda composed 10 of the 11 songs on the two discs. The lone cover is “My Ship,” composed by Kurt Weill with lyrics by Ira Gershwin. Yanda began his professional career playing Western Swing in Iowa, venues designated as honky-tonks that were near his family’s farm. He switched to rock while in high school. Then in college developed a love for jazz. 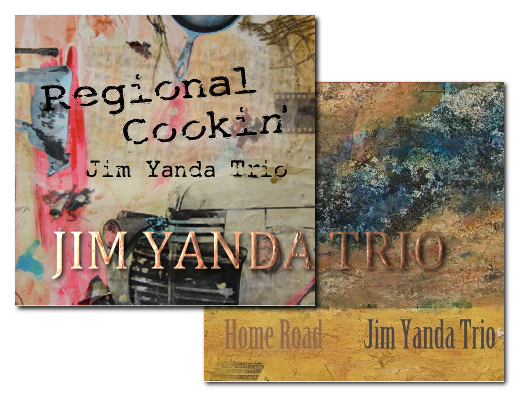 The combined release of Regional Cookin’ and Home Road captures the trio in its element, three musicians play well as a unit, while allowing the individuals to leave their marks.